Still have that GoPro you bought a couple years ago? I’m guessing you do, and so are a lot of investors, which is one reason why the GoPro stock price has been dropping drastically as of late. After seeing a stock price of nearly $70 a share in October 2014, the GoPro stock price has fallen to around $20 a share. This huge stock plummet has worried investors. People seem less interested in upgrading from their original GoPro camera to a newer version. The new specs and flashy advertisements The NHL and GoPro: An Incredibly Skillful Social Media Campaign The NHL and GoPro: An Incredibly Skillful Social Media Campaign What do you get when you put a GoPro on talented NHL players? An incredible view of incredible talent, that’s what! Read More seem to be converting in fewer sales and purchases. Why, you ask? Well, for a few reasons. The new specs don’t seem to overly outshine previous models at their price. 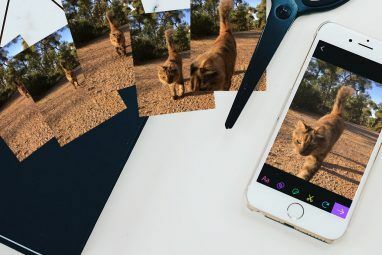 For one, the GoPro HERO4 Black, which is over $200 more than the HERO4 Session, boasts that it can capture video in 4k resolution with added frame rate(s). Sounds excellent, right? The truth is, most of us don’t need 4k resolution Why Buying A 4K TV Right Now Is A Waste Of Money Why Buying A 4K TV Right Now Is A Waste Of Money With an obvious price difference between the new generation of 4K TVs, and older Full HD models - do you really need 4K? We think not, and here's why. Read More when capturing or viewing video. Unless you have a projector or TV that approaches 100 inches, 4k resolution is unnoticeable. When comparing cameras, you can see that the HERO4 Black can capture video at 30fps with 4k resolution, and 120fps at 1080p resolution. The HERO4 Session, for example, can capture 60 fps at 1080p and does not offer 4k resolution video recording. The added frame rate(s) for the HERO4 Black is ideal, but is it necessary? You’ll notice that the two videos are very similar (especially when viewed on YouTube, which is optimally shown at 60fps How Recent Changes to YouTube Will Affect You How Recent Changes to YouTube Will Affect You Chances are, you've been on YouTube. You've probably watched a lot of video — you may have even uploaded a few. Whatever your reason, you need to know about a couple of big updates. Read More ). While the HERO4 Black tech specs are much better than previous models, is it really necessary for your videos? Probably not, unless you’re producing professional video. Another major factor that has brought down the GoPro stock price is GoPro’s resale value, which is quite nice for buyers and sellers. You’ll notice that when searching for the camera on Ebay or Amazon it’s easy to find what you need at a price you can afford. This is great for consumers, but horrible for GoPro, as they largely rely on new sales to beef up their stock price. According to BusinessFinanceNews, the camera is the best reseller on Amazon and Best Buy. This is mainly because the product remains a great camera even after wear and tear, which is quite normal for GoPro users. There’s also the problem of better competition for GoPro. It seems that many people are purchasing other similar GoPro-esque cameras to fit their needs. While it seems that the competition hasn’t quite reached the GoPro level, it’s quite possible that in another year they will get there. The video below shows a few action cameras that have hit the market just recently and have been challenging GoPro. Some of the cameras seem like a worthy purchase, and others, like the Drift Ghost S, are just flat and not worth your purchase. But, the competition is heating up and it will be a matter of time before a better camera is offered. So which are the best action cameras? I’m not saying that GoPro isn’t a great product, as you can capture all kinds of sport or non-action video 6 Ways To Use GoPro Cameras That Don't Involve Extreme Sports 6 Ways To Use GoPro Cameras That Don't Involve Extreme Sports GoPro cameras can be used in plenty of ways other than shooting extreme sports, six of which we'll be exploring in this article. Read More , but buying a new GoPro probably isn’t necessary. The updated specs on the HERO4 Black, for example, are great, but probably not at it’s price point. A later model can still capture video that will impress your friends. You can also easily purchase or resell your used GoPro for a good price, which has brought down the need to purchase a new camera. Why go out and buy a new GoPro, when you can purchase a used one for cheaper? The competition also seems to be growing and gaining momentum, which is great for the market but bad news for the company. 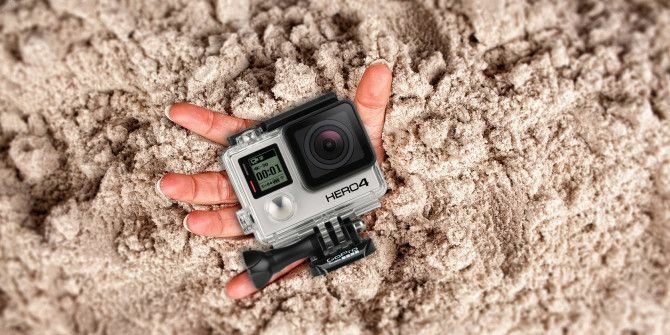 There are just too many reasons not to purchase a new action camera from GoPro Buying a GoPro or Action Camera: 7 Useful Things You Need To Know Buying a GoPro or Action Camera: 7 Useful Things You Need To Know If you're into skiing, cycling or surfing, then an action camera is the perfect way to record your adventures. Read More . Explore more about: GoPro, Record Video. I own 3 GoPros up to the 4black. Stop using them when the app stop working to link to my iPhone. Now they just sit in the closest. Shooting more 4K with my iPhone now. Great product, but too difficult to use on the move and not reliable link. Need to sell them before they're now worth anything. I will not buy another. My first one had an issue with the case and the camera got water damaged. I attempted to use GoPro Care to get it replaced. Several weeks, and 3.5 hours of phone calls later, they were still unable to get my replacement to me in time before I flew around the world for another trip. I made no fewer than 10 calls, speaking with three different supervisors, all who promised the moon and delivered NOTHING but apologies. I am not an unreasonable person. I understand mistakes happen. However, this was one mistake and broken promise after the other. It was total systemic failure from their customer service department all the way to the warehouse. Never, ever, ever again will they get a penny of my money. 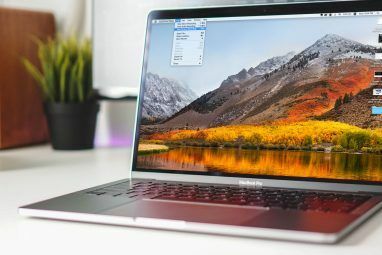 You could use 4k recordings if you need to zoom in and still keep the resolution at 1920x1080. But yes, I have the 3+ Black and I'm not buying a new one until it's smaller AND better.